A day for coconut oatmeal. This recipe is pretty simple as you add or subtract what you don’t want/like. 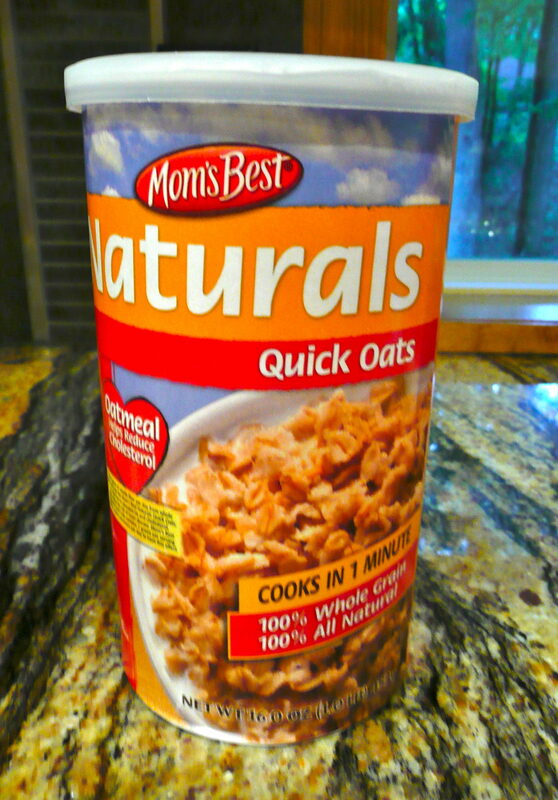 I started out with some Mom’s Best Quick Oats. My next ingredient? 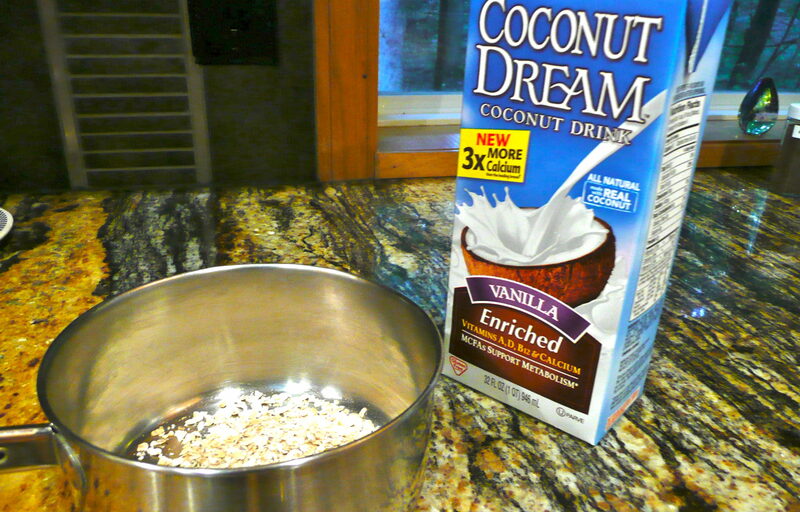 Coconut Dream Coconut Milk. Yum! In a small saucepan, add the oatmeal and coconut milk. Stir. Heat on medium low stirring occasionally. Add the salt and cinnamon. Stir. In a small bowl, add your raisins. Add hot water to the raisins to plump them. Continue stirring the oatmeal mixture until it starts to boil. Add more milk if the consistency is too thick for you. Once you have reached the right consistency, remove the oatmeal from the heat and pour it onto a plate. Drain the plumped raisins and add them to the oatmeal. One could add the raisins to the oatmeal while cooking instead of plumping them and adding them at the end — but then your raisins would taste “cooked” — all a matter of preference.